Once again, worldwide colour authority Pantone has released its influential predictions for the year ahead. In 2017, Pantone predicts Greenery will be the colour that takes centre stage in all aspects of our daily lives. 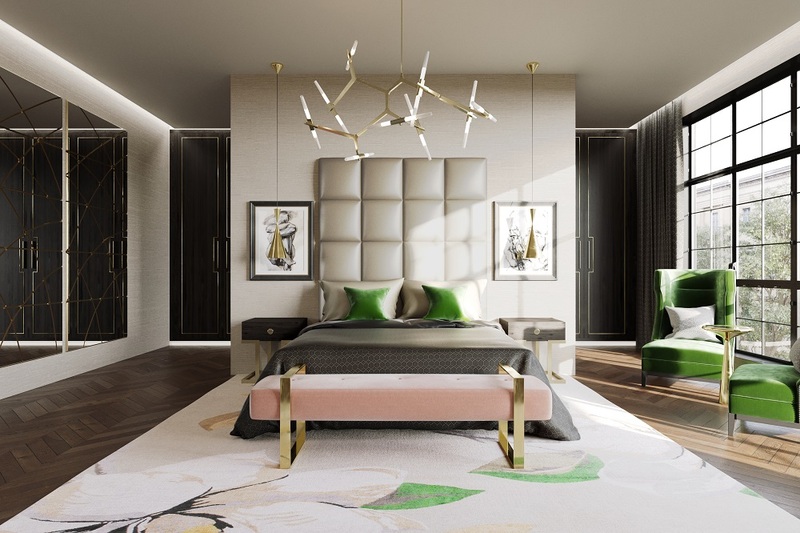 As The LuxPad reported when the prediction was first announced, this year’s colour is synonymous with renewal, the need to revitalise and the desire to unite in the face of adversity. Greenery is vibrant, bold, fresh and, above all, positive. The political turmoil this year and financial stresses of the previous few years have seen us craving rest and calm, and Pantone’s Colour of the Year for 2017 delivers in abundance. The colour is evocative of newness and hope, the colour of fresh spring shoots. For me, Pantone are spot on. Greenery is perfect for now — it totally encompasses the current mood, and I love it. I’ve been working with this colour for a few months now and the response from clients has been overwhelming — everybody loves it. Greenery has a lot of yellow in it so it’s a warmer green, but all greens are cool in tone and can come across as cold if they are not balanced well. The trick is to add layers of texture — natural woods and materials, linens, textured wallpapers, tactile warm finishes — to bring in a homely warmth. Green symbolizes many things: fresh and natural, health and wellness, luck and abundance. Introducing this colour into a space automatically brightens a room and can be as simple as adding a tall leafy plant to the corner, a pillow to the sofa, or a tape trim on your crisp white bedding. If you’re feeling adventurous, apply a bold funky wallpaper to the powder room which is the optimal space for taking risks and being dramatic. Pantone’s colour of the year for 2017 is the zesty ‘Greenery’. I would work this into an interior by earth-ing it with deeper shades of bronze, navy or charcoal and adding metallic accents of brass or aged gold. 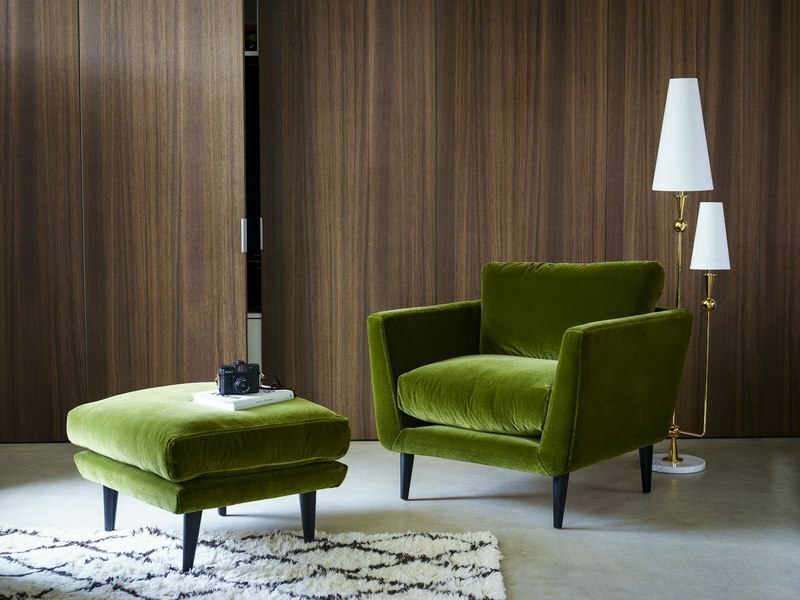 The Holly armchair and footstool from sofa.com in Olive velvet would be my perfect match of mid-century style whilst incorporating the colour in a timeless way. When I think of Greenery it makes me think of green grass on a summer’s day, so my tip for using this colour is to team it with other bright summer colours like yellow and orange. 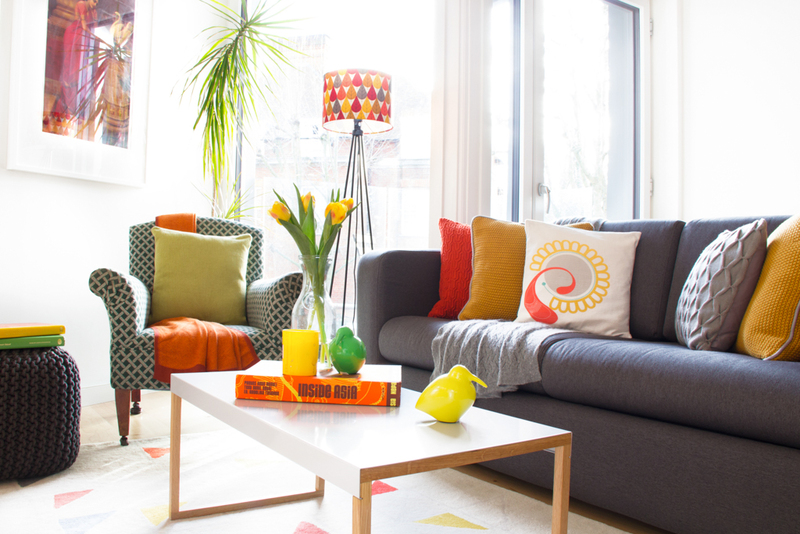 In doing so you will achieve an interior that is bold, bright and bursting with personality that will complement any summer’s day as well as bringing cheer to your home on grey winter days. Pantone has announced its colour for 2017 and guess what? It is called Greenery – 15-0343 to be exact. However I believe that this is not another trend which will pass. I am strongly convinced we will have more shades of green appearing soon in our homes. Green will stay with us as it is a major interior factor influencing our mental health and wellbeing. Not everyone is lucky enough to own cottage and we do rush in our city lives a lot. 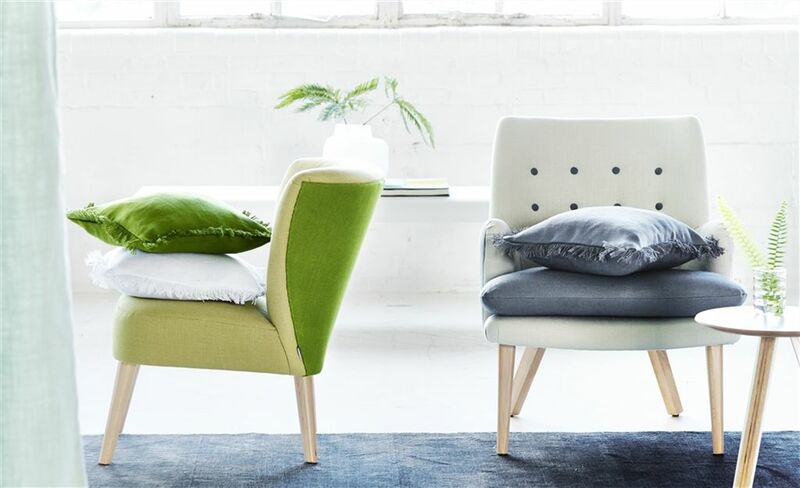 That is why whether we paint the walls green (the easiest solution), buy tropical green velvet sofa or add luscious lime to home decor by purchasing soft furnishings like cushions or curtains we will stay with it. 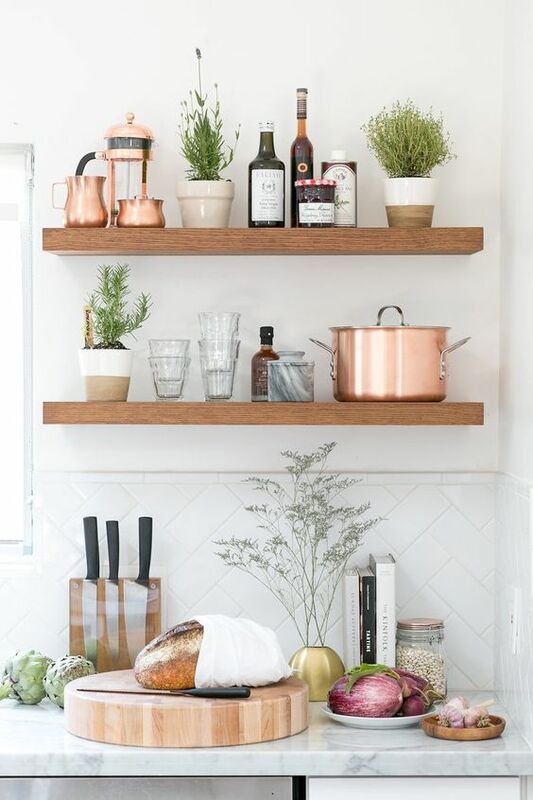 Green kitchen cabinetry and adding a lot of plants to our home interiors will have similar impact on our health too. 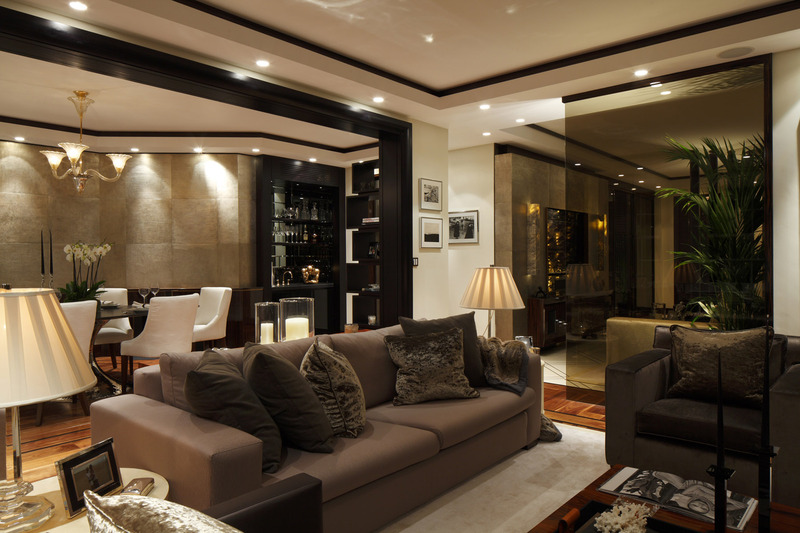 So choose one from above and rejuvenation, calm and peace in your home is guaranteed. Greenery reminds me of a hot August day, hiking up into a cool forest in the Berkshires, north of New York City, with a canopy of translucent maple leaves filtering light in. I love contrasts – living in the city and spending time, especially in the summer, in nature. Although Pantone says it is nature’s neutral I would say it is a very strong colour that needs to be used in a sophisticated way. It could be used as an accent in a very neutral interior, but also as a main colour, mixed with other blue-tone colours in a more intimate room, like a guest room, foyer or powder room where you can share some of your personality in a space that people tend to experience alone. I was delighted Pantone chose Greenery as Colour of the Year 2017 for obvious reasons, have a look at our logo. 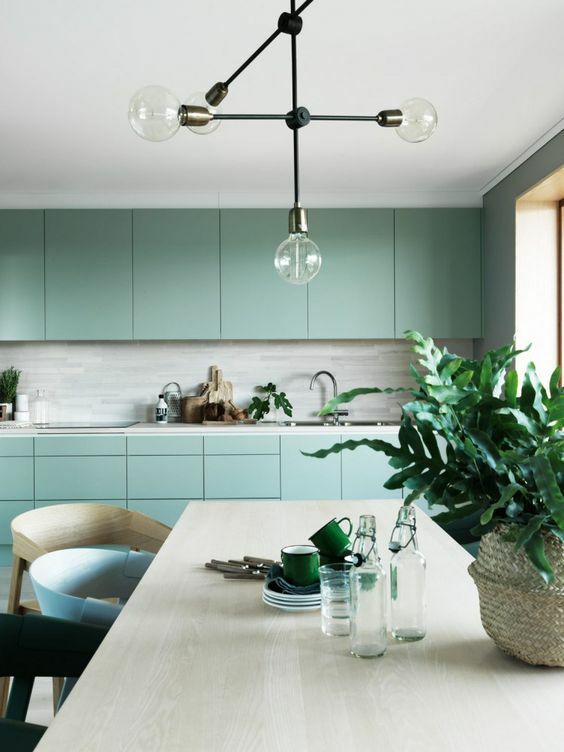 But this shade of green isn’t just about country looks, not just about pairing with obvious partners of white, the neutrals or orange, yellow and blue for a brighter feel. 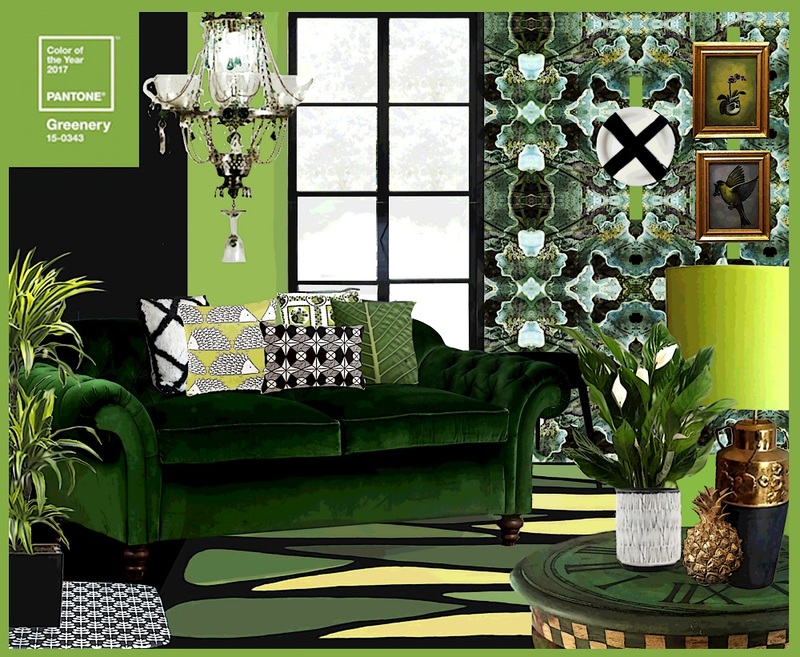 The current dark interiors trend calls for a stronger, more dramatic approach; incorporated in my style board are many shades of green and as interior designs should always include a surprise element, black and white geometric shapes plus for added theatre, gold accessories – time to think William Morris meets Biba. Pantone of the Year 2017 is glorious Greenery. It’s invigorating with zesty undertones that symbolise new beginnings. It’s a departure from the warm, tranquil colours of previous years. Greenery is a surprise; it grabs the attention and brings joy, like the first fresh spring shoots emerging from grey winter soil. In a similar way, it will breathe new life into any scheme. 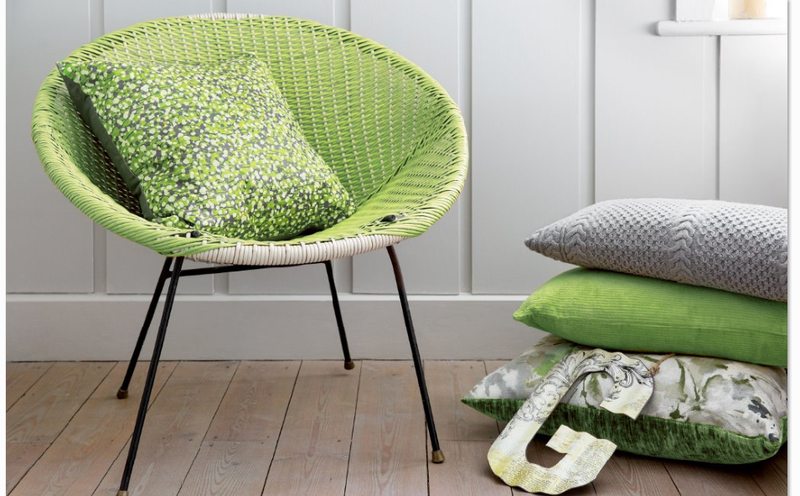 Its brightness could be overwhelming if used in abundance, so try splashes on soft furnishings and accessories to bring the vibrancy of the natural world to your home. In southern California I am constantly asked to incorporate the outdoor/indoor concept. For the client’s kitchen, I was inspired by the wonderful view of a beautiful green garden, a pond, all set within a background of bright blue ocean. Greenery works as a perfect accent colour for rooms like these. 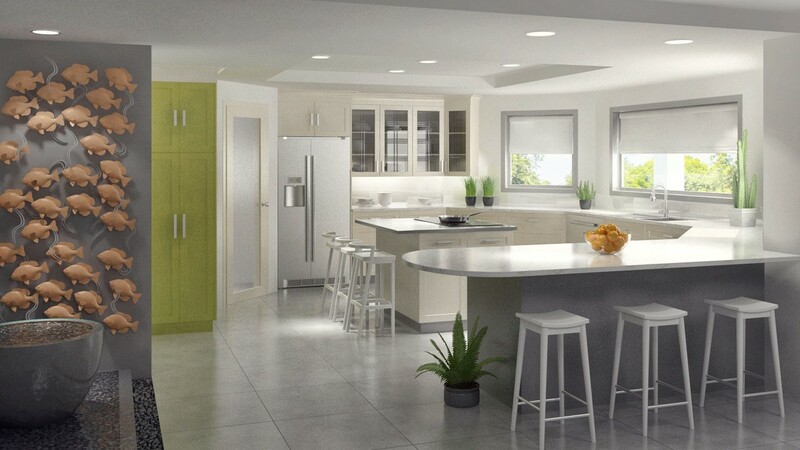 The previously dark and gloomy kitchen is now as happy, bright and green just like its exterior. 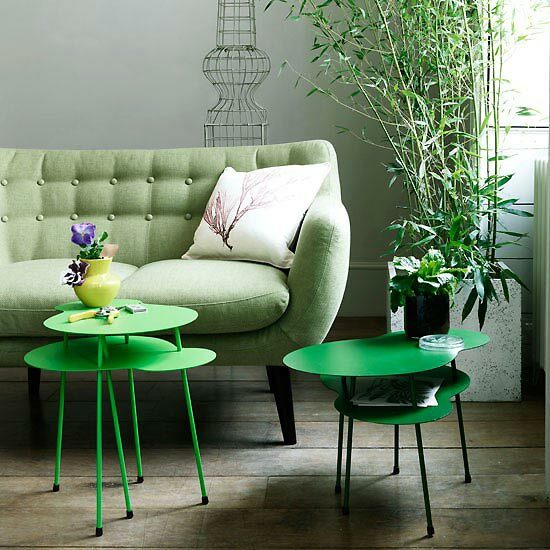 Fresh, cheerful, optimistic – Pantone’s Colour Of The Year Greenery has arrived at the right time! As we collectively ache for the end of winter and look with hope towards the spring, what better colour to choose for positive new beginnings that this zesty shade. Greenery will certainly liven up any interior. On it’s own, it packs a punch and can appear to some a little eye-watering, so go easy on it’s application! 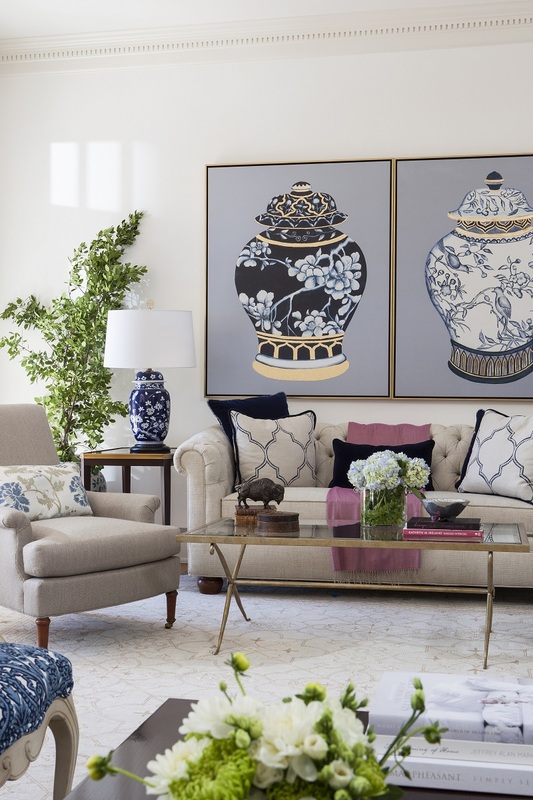 An entire scheme may be a little overwhelming for most tastes – but scaled back it can work superbly as a statement piece of furniture or accessories. 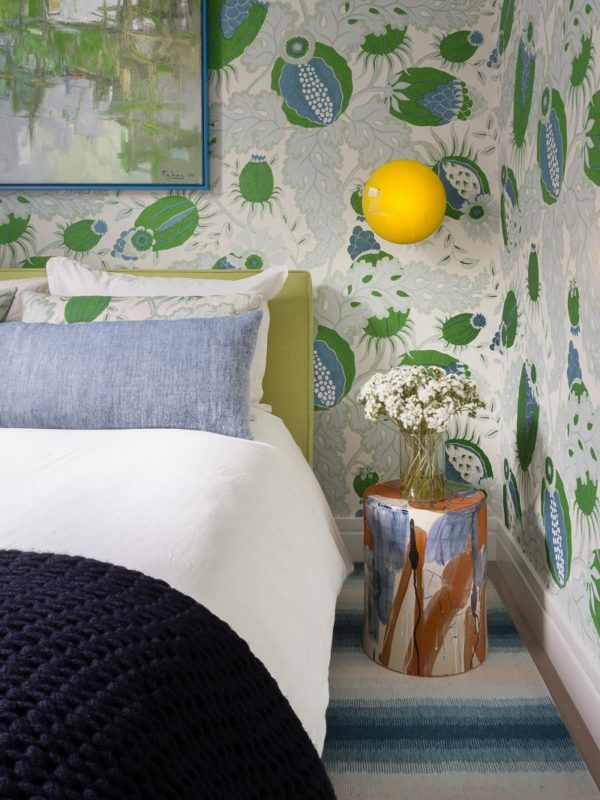 Try mixing Greenery with complimenting bright, clear tones and textures to warm it up and gently soften its impact. 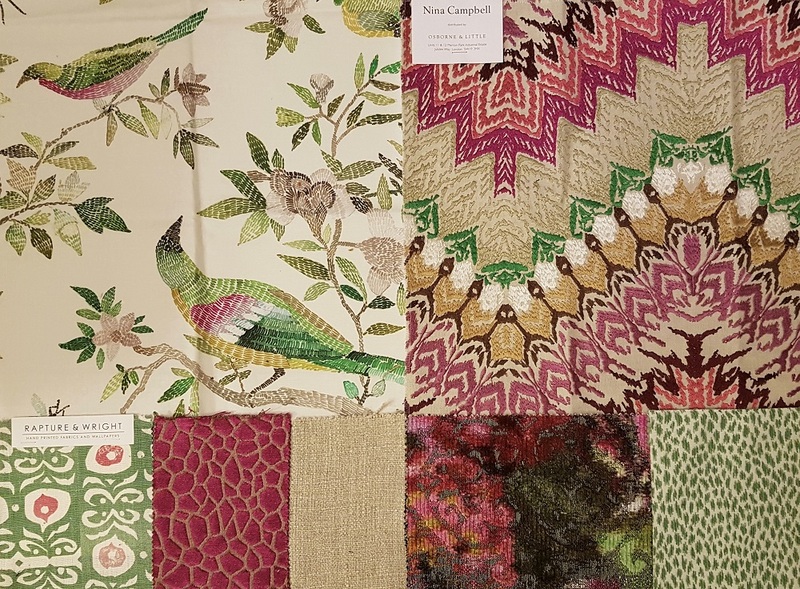 As designers we are always on the lookout for new products, trends, and colour palettes to incorporate into our projects. 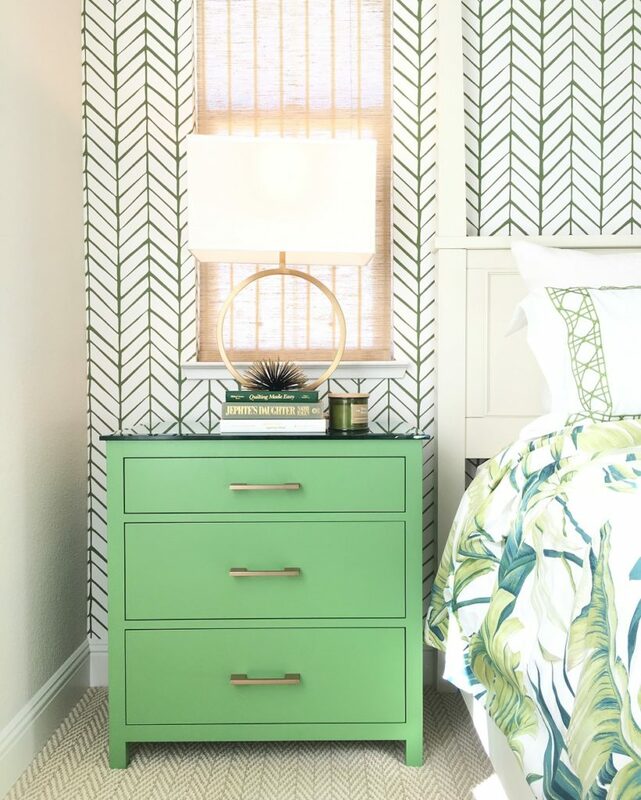 When Pantone announced Greenery as the colour of 2017, we couldn’t be more excited for a finish that was bright, earthy, and easy to add into our work. Greenery is a hue that blends well into the current colours we use like grey, light blue, and navy. When used on a casegood, like 42nd Street Design’s Bowman Nightstand, it makes a statement that is bold yet subdued. In large doses (like the nightstand), Greenery shows off its softer side. However, that same tone can be pulled into accessories and accent colours for a touch of freshness in any room. The most important accessory in my home is the greenery. Powerful big splashes of green plants in front of a dark inky green wall is a favourite. It adds lots of vibrancy, playfulness and optimism. Also layer up green rugs with different textures, and add velvet and some pillows, and there you have a fresh and serene greenery lounge area. One of the easiest ways to achieve a nature-inspired look in the home is to bring in plants and flowers as the ultimate accessory. I am a firm believer that every space should have a little Greenery and all of my designs incorporate this colour as an accent with live plants at the very least. While I typically bring the colour in with plants, moss or leaves, this is also a refreshing colour for accents like throw pillows and simple accessories like Granny Smith apples in a glass bowl. 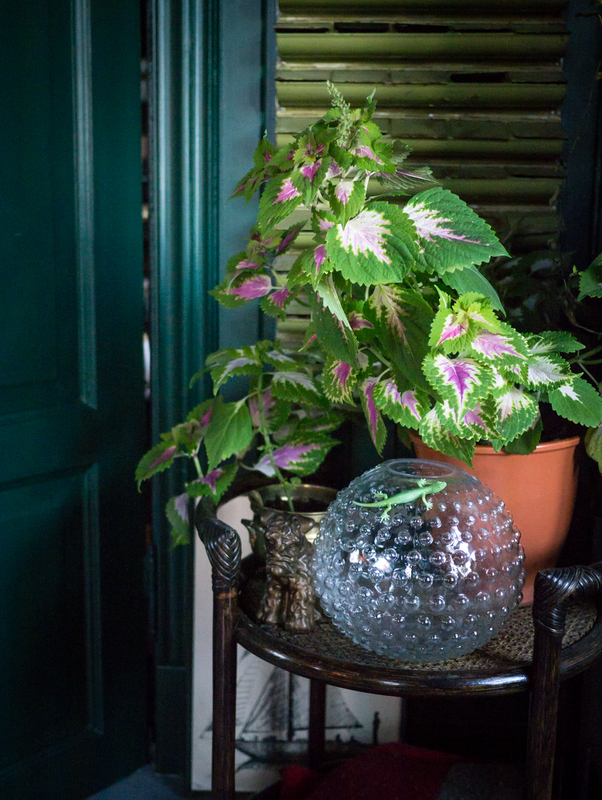 All spaces (and all people, for that matter) benefit from bringing a little more nature in from the outdoors, and the colour of the year Greenery is a fantastic way to do just that! In this waterfront home with sweeping coastal views, the focus is on the palette provided by nature on the outside of the home. With wall size doors that open to the exterior patios, the lines from inside to outside are blurred and the spaces meld into one. The goal on the interiors was to mirror the palette seen in the vista so as not to distract from the tranquility. While the vibrant hues of the water are predominant, the lush greenery also plays into the palette. 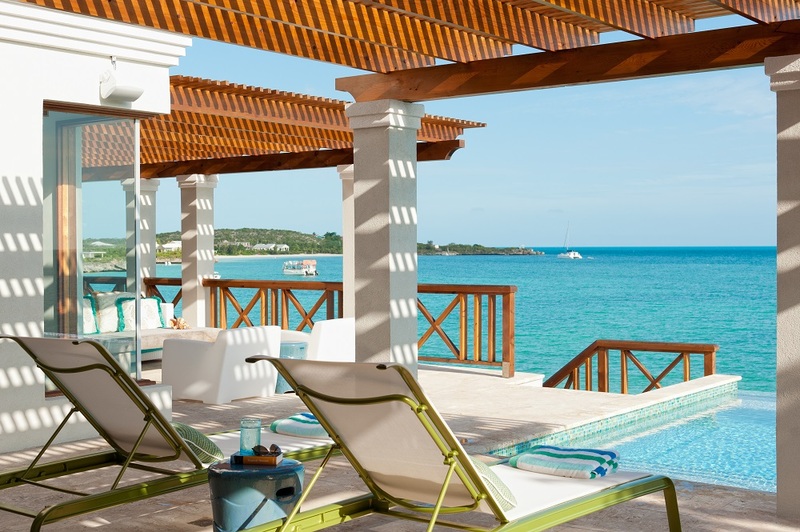 The sleek Greenery on the frames on these sun loungers merge seamlessly with the cobalt and turquoise blues to mimic the tones of the landscape. Greenery is a lively shade for 2017, suggestive of ‘flourishing’ spring-time foliage thus offering us an opportunity to revive our interior by bringing the freshness of the outdoors inside. Continue this theme by pairing it with complementary tones of green and blue or more neutral shades of white and grey. 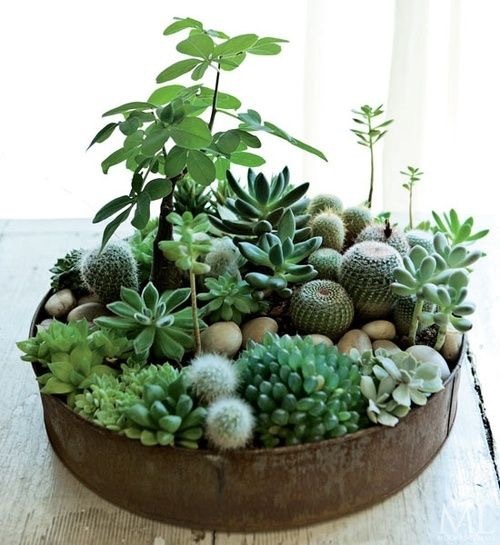 Greenery can be used to create a focal point bringing life and brightness to a room. Use it to introduce a positive colour scheme and get creative in spaces such as your kitchen or home office. Perhaps you are trying to visually connect a open plan space within your interior, and Greenery is the perfect colour that allows you to do this. 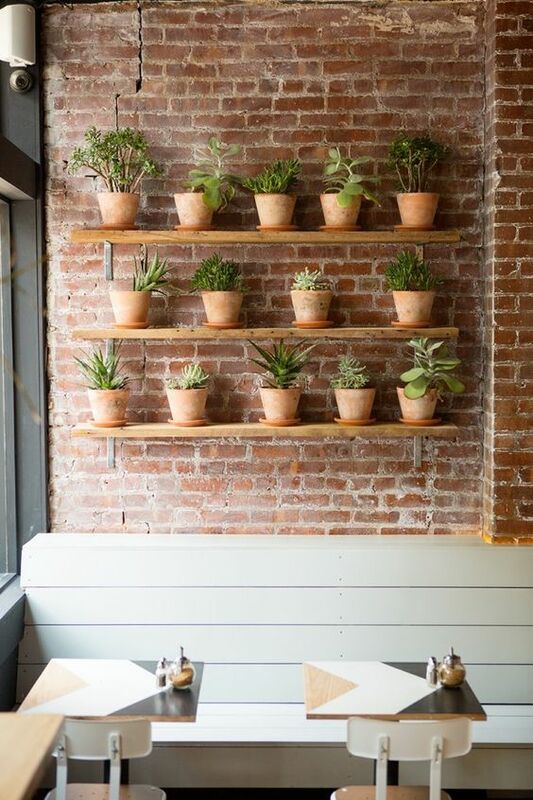 Distinctive and versatile, Greenery allows you to bring the outdoors in and to match the seasons. 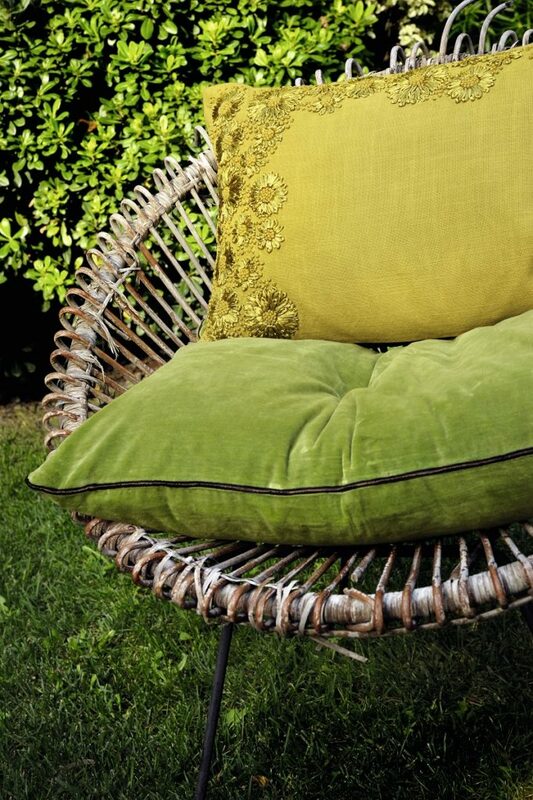 Pair it with neutrals and earthy shades and you will see how much fun a colour like Greenery can be. Greenery… I love it! It is the colour of freshness, growth, money and opportunity! 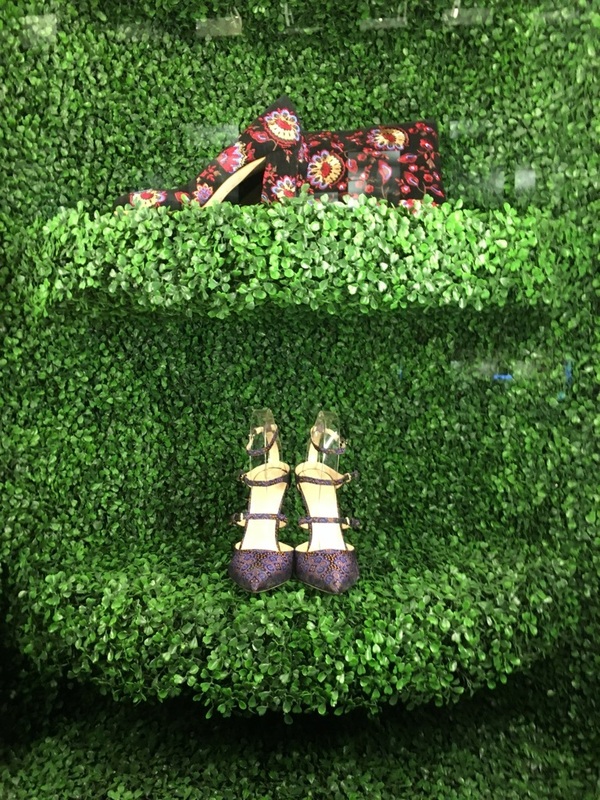 It makes for the perfect backdrop to anything glamorous, as seen here from the shop windows on the streets of New York City. Green has to be one of my favourite colours, so I am really excited to see more of this gorgeous shade in 2017. It is a great base colour, which can then be paired together with stunning shades of pink, purple, red, aubergine, blues and white. Ceramics and pottery in green will make fabulous vases, platters and serving plates. Food served on green looks great and will give your meals a healthy fresh vibe. Freshly cut greenery and blooms in vases are a simple and easy way to add pops of green to your interior spaces. 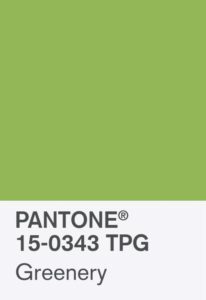 The new Pantone colour Greenery is an invigorating green reminiscent of nature and spring. It is fresh and clean and works really well combined with a dark pink purpley hue. This colour can help bring the outside inside and would be great in a garden room, conservatory, open plan dining/kitchen with a view through a garden. I would not suggest painting walls in this colour or having kitchen unit in it! 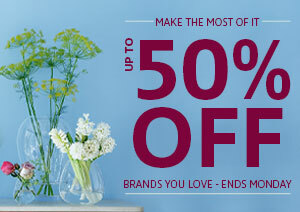 This is best used on furniture, soft furnishings and mixed in with pattern and other colours. Being naturally occurring in plants, this is another source for introducing the colour into a scheme. Fred is a master of SEO and is the resident technical expert. When he isn’t finding the latest plug-in to revolutionise The LuxPad he can be found working on exciting infographics and other large content projects. Think Pink Interiors: Which Blush Is Right For You?